Cremation is becoming increasingly common in the UK with over 70% of us now choosing this option. The practice of cremation is often undertaken for religious or cultural reasons, but its increasing popularity could also be seen as a result of its comparative cost effectiveness to burial. 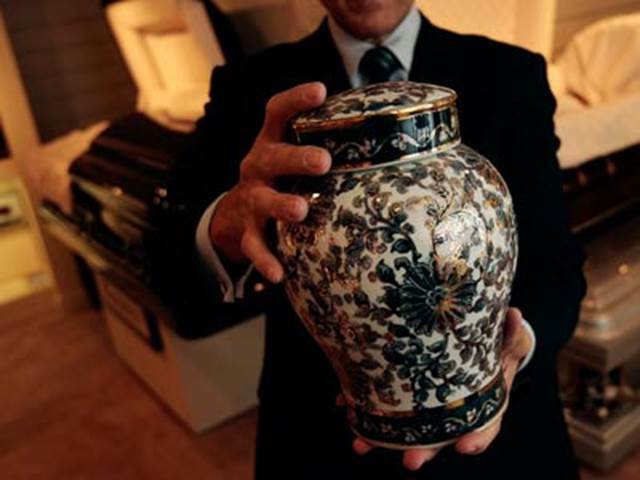 When opting for cremation, you will be asked what you would like done with your ashes – a difficult question and one with many options. Some of the more well-known choices include burying the ashes in your local cemetery, scattering them, or simply having them displayed in an urn on the mantelpiece. The problem with scattering ashes is that the phosphate in the cremated remains can upset the local ecology of the area. It is for this reason that many football clubs no longer allow the ashes of fans to be scattered on the pitch of their favourite club. There are other options, though, with a number of creative entrepreneurs leading the way in alternative post-cremation possibilities. In 2005, author Hunter S. Thompson was memorialised by a firework display, with the pyrotechnics used including the extra ingredient of his ashes. Companies like Heavenly Stars Fireworks now offer the same service, creating a fantastic fireworks display using the ashes of your loved one. Don’t feel like setting your sights skyward? The pun-laden website of ‘And Vinyly’ gives you the option to have ashes pressed into a vinyl record so that they may live on from “beyond the groove”. You can choose a personal piece of music or simply silence to hear the pops and crackles as the record spins. At the less novelty and more personal end of the memorial spectrum, many people are now choosing to have the ashes of their loved ones turned into stunning pieces of jewellery. Grateful Glass is one such company which was launched in 2012 by 31-year-old Matthew Olian. Speaking to Business Insider, Olian explained that he got into the business of making jewellery using ashes after a customer asked him to make a memorial pendant. “It was one of those moments where I was like ‘Wow, this is a really special concept, and I don’t think anyone else is doing it and I should run with it,’” Olian recalled. “It was a pretty special feeling to give this customer such happiness through my work,” he said. Olian creates all of the pieces by hand. Combining the ash he receives from his customers with the molten glass and using his own encasement technique, each piece he finishes is completely unique due to the subtle chemical variations in the remains. With so many creative and alternative funeral options now available, it can be hard to choose. But with a funeral plan in place you can guarantee that you’ll receive the special and personalised send-off that you want.